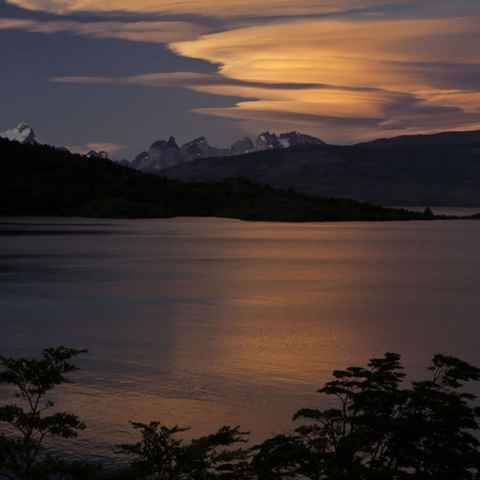 Feel at one with nature as you gaze up at the stars from your bed, and wake up to beautiful sunrise views of Torres del Paine from your yurt or dome. Explore the park with daily excursions of your choice or a pre-planned itinerary, returning each night to delicious food and great company. 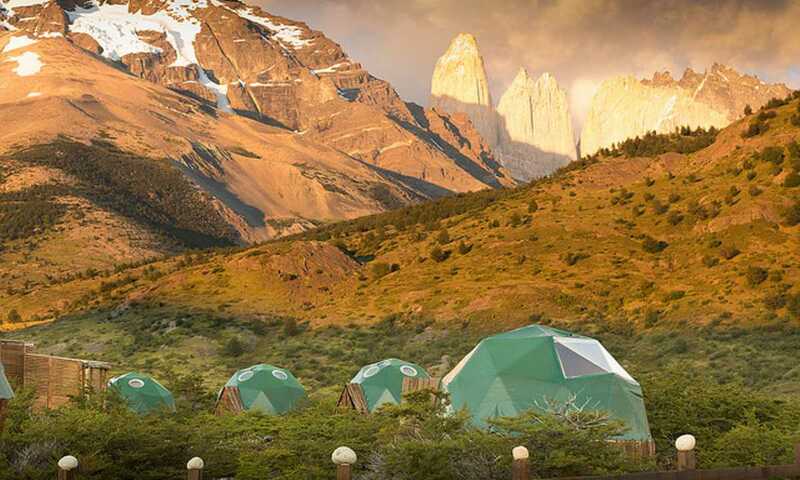 What is glamping in Torres del Paine? 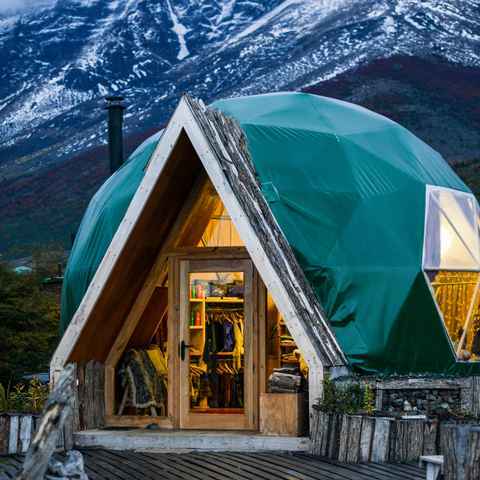 If you want to experience glamping in Patagonia, Torres del Paine's eco-friendly camps are some of the most luxurious and characterful you can find. Nestled amongst the trees, with beautiful views, comfortable beds and tasty meals, these accommodations provide a quirky alternative to a regular hotel, refugio or campsite, whilst being more affordable than the luxury lodges in the park. There are two main camps in Torres del Paine, and although there are many similarities between them, there are some clear differences as well. The information below should help you get a feel for which one is right for you. 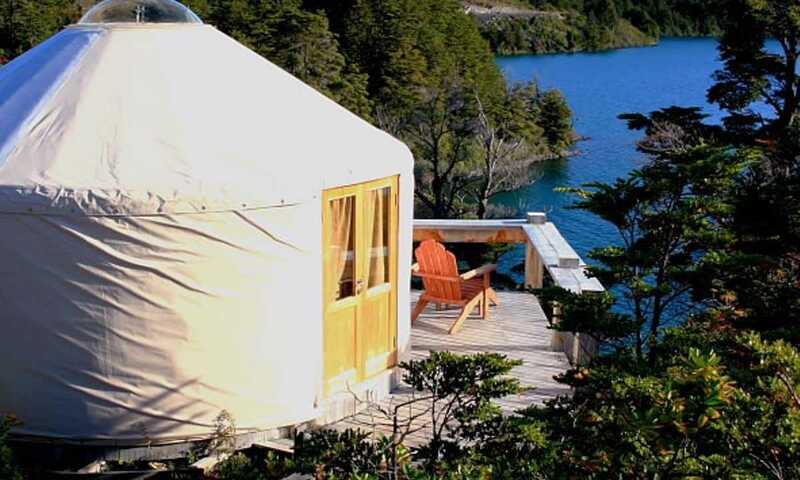 Situated just outside the national park with spectacular views across Lago Toro to the Paine massif, these beautifully-finished yurts allow you to feel at one with nature in a tranquil setting. Explore the private land, finding the less trodden path and an abundance of birds amongst the trees. Stay in your own cosy geodesic dome between the trees, with stunning sunset views of the towers. A relaxed, sociable atmosphere provides a great place to stay after a day's hiking in the park. Use the camp as a base for trekking, horse riding and puma tracking. Stay in comfort, and because each building is an eco lodge, you'll know you are having minimal impact on this amazing landscape. EcoCamp was great, so unique and beautiful views- we LOVED it, it was awesome. Patagonia Camp exceeded all our expectations. We had the nearest yurt to the lake with distant views of the Horns. Here are some of the key differences between the camps to help you decide between the two.